Fulfills consumer demand for real-time communications and enhances website conversions. We were seeking an opportunity to interact and connect with more prospects than we had been via phone calls and email exchanges. 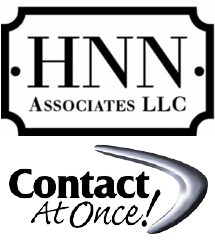 Contact At Once!, the leading provider of apartment chat software, today announced that HNN Associates, a multifamily property management company located in Bellevue, WA has selected Contact At Once! to power online chat across all of their consumer-facing websites. The new chat functionality offers prospective residents a direct, real-time connection to HNN’s leasing team, while also affording current residents the ability to communicate with property staff to address maintenance needs and operational questions. ContactAtOnce! is the multifamily industry leader in apartment chat software, moving prospective renters into live conversations with leasing agents. Multifamily housing communities (apartments) typically see a 25% or higher increase in responses to their property listings by adding live chat to their properties websites, Facebook pages and Craigslist postings. This results in more opportunities for leasing professionals to influence rental decisions, to build rapport and book more leasing appointments. Contact At Once! helps to further personalize the online research experience by allowing site visitors to easily engage with apartment communities. Visitors are welcomed by a presence-aware chat greeting when a leasing agent is online and available to answer their questions. When an online visitor clicks on a chat button, a window opens to display the name and photo of the leasing agent who is responding to the chat request. Contact At Once! is the leading multifamily, apartment rental chat software provider and operator of the apartment industry’s only multifamily chat network. The chat network consists of hundreds of apartment rental communities, as well as major listing services like Apartments.com and ApartmentFinder.com. Adding Contact At Once! apartment chat software to a website typically increases a lead to rental conversations by at least 25%. Named to the Inc. 500 as one of America’s fastest growing businesses in August of 2011, Contact At Once! is headquartered in Atlanta, Georgia. For further information about the company’s solutions for the multifamily apartment rental vertical, please go to http://www.apartmentchat.com. Based in Bellevue, WA, HNN Associates manages real estate assets according to the specified investment goals of our investors. We maximize cash flow for our investors through processes that balance short-term return on investment with long-term housing preservation and value enhancement. We nurture a reputation of excellence in our housing communities, in our operations, and within ourselves. We promote healthy communication, productive teamwork, integrity and professionalism. To learn more, please visit http://www.hnnassociates.com.